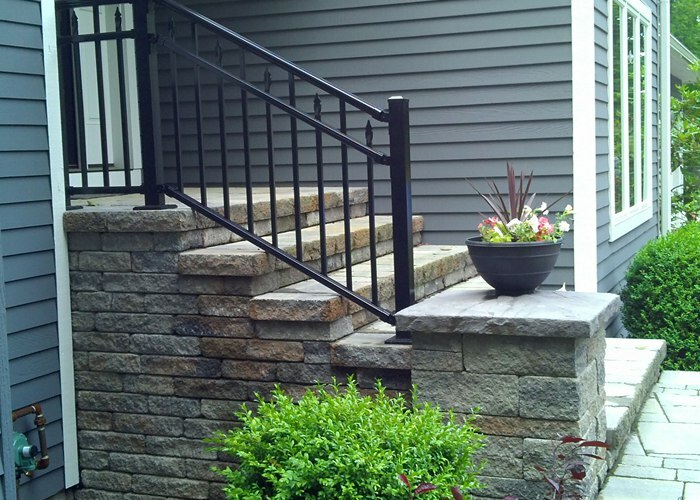 Take your curb appeal to the next level with elegantly designed steps. "Beautiful! I can't say enough! The working guys are wonderful! You are so lucky to have those men working for you!" Steps don't just provide function by taking us from one level to another. They can also be a key element of your overall landscape design and a great way to add some pizzazz to your front entrance. All front entrances are unique and require a different solution to address the elevation changes in the landscape. On a relatively flat lot, a front entrance can be as simple as a single step leading to a front door landing. Others may require a flight of steps to help manage a steep slope leading from the driveway to the front door. Whatever the situation, steps can be built that provide the function needed, as well as accent the overall style of the home. 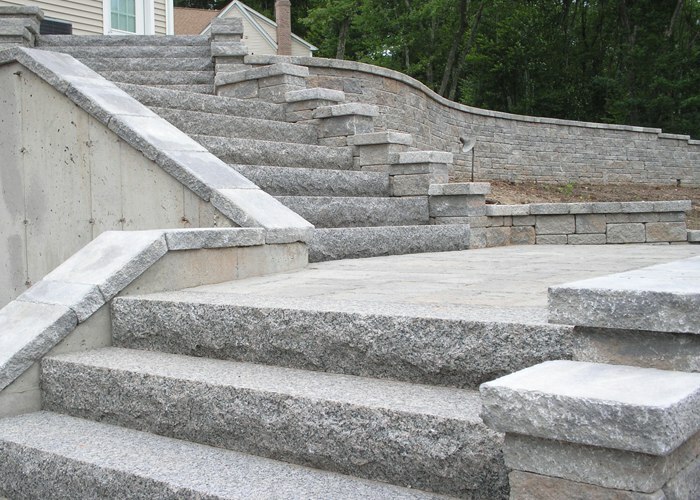 Long gone are the days when precast concrete steps are the only option for your home entrance. These days, there are many options when it comes to step material. These include Natural Stone (such as Bluestone, Brownstone and Granite), as well as decorative segmental wall block. 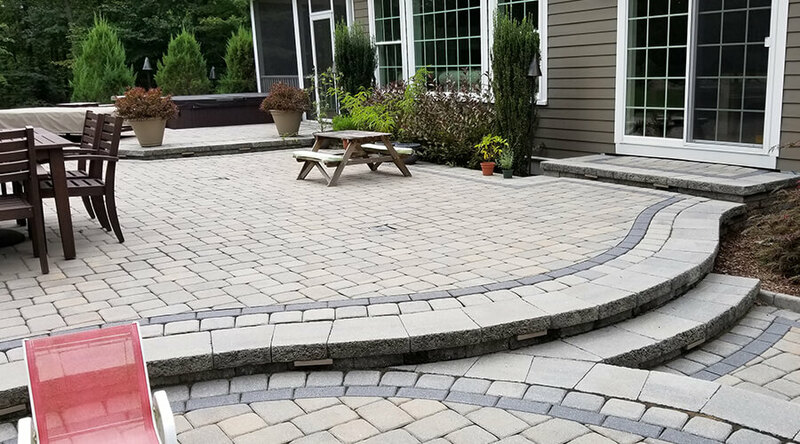 Providing they are structurally sound and in relatively good shape, existing concrete steps can also be dressed up with a variety of overlay materials available on the market. There are many considerations when it comes to building a set of steps in your front or backyard with endless possibilities to fit any size, location, and budget. A professional can help you design the perfect steps for your yard, addressing both functional needs and aesthetics. Changes of elevation can work really well to separate areas on your patio. For instance, setting the fire pit area at a different level than the dining area of the patio creates some additional design interest. Steps allow us to make those elevation changes safely and with an elegance that only adds to the overall look and feel of a space. Everything you need to know about water features and more!